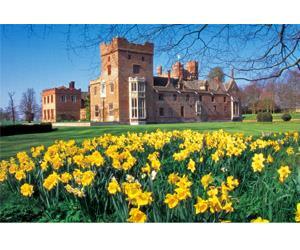 Join the Ranger for an informal walk around the woodlands at Oxburgh Hall. Learn about woodland ecology and management and discover our spring flora and fauna as nature bursts into life. Get an insight into the history of the woodland, its archaeology and changes to the landscape. Wear suitable outdoor, waterproof clothing and boots as some areas may be muddy. Please feel free to bring own refreshments. No children. Suitable for adults 18+.